Richard, Daddy, Pepaw, and Pawpaw, a man loved by many names. 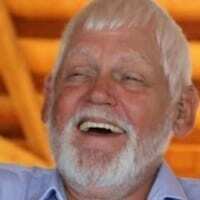 Mr. Harless Richard Harkins, age 75, of Cleveland went home Tuesday, February 26, 2019. Richard was born in Habersham County to the late Thomas Harkins and Mildred Turner. He retired from NOK to continue his love of farming. Richard became a caretaker to everyone he met. Waiting for Richard to come home are his wife, Ethelene Harkins, sister, Margaret Turner, Uncle Herman Winkler, along with his parents. Survivors include son and daughter in law, Tony and DJ, Cleveland; daughter, Katrena, Cleveland; daughter and son in law, Lisa and Ray, Cleveland; mother, Mildred Harkins, Cleveland; brother, Thomas Harkins, Cleveland; sister, Brenda Lee, Dahlonega; mother of Tony and Lisa, Janice B. Harkins; nephew, Ronald Truelove and family; Grandchildren: Nikki Harkins, Drake Seabolt, Cody Flanagan, Emma Flanagan, Heather Harkins, Angela Harkins, Jennifer Keene, Jason Lynn, Micah Lynn, Jeremiah Akin, Cameron Crunkleton, and Hunter Crunkleton; many great-grandkids. A Celebration of Life and Farewell will be held 3 P.M. Saturday, March 2, 2019 at Mt. View Baptist Church. The Rev. Dave Fortner and Rev. Kip Lee will officiate. A Family and Friends Tribute & Gathering will be held from 5-7 P.M. Friday, March 1, 2019 at the funeral home. To share a memory or condolence with the family, visit barrettfh.com.